Shropshire North leaders' get together. Leaders from Shropshire North were given the opportunity to get together on Sunday at Prees Cricket Club for an afternoon of socialising and sharing ideas. After talking about things which units have done over the past twelve months, as well as making plans for the coming year over scones and strawberries. 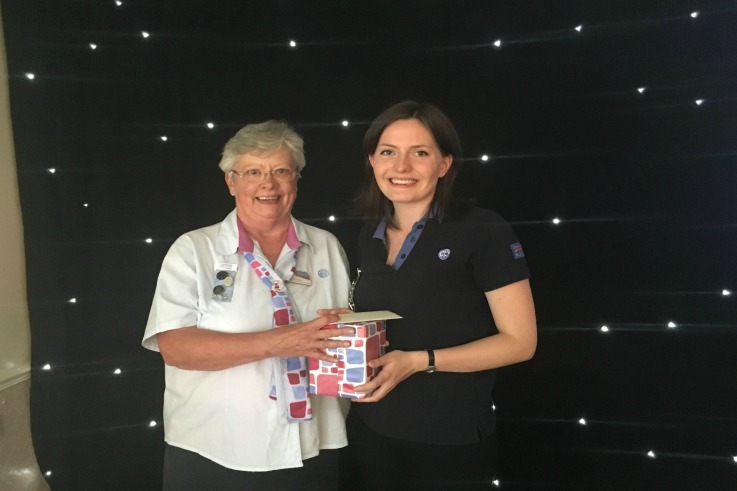 Division Commissioner Janet Howarth thanked her leaders for everything they do for Girlguiding Shropshire and then handed over to her ex-Brownie, Miriam Ridley, who gave a presentation on her experiences within Girlguiding thus far. Miriam spoke about GOLD international teams which she had been a part of, running a unit whilst at University, and her voyages with the Tall Ships events and inspired everyone to remember that they can make a difference.